Reports are circulating that Ed Sheeran and Nicole Scherzinger are officially an item and have been dating for a number of weeks now. The pair are long time friends and Scherzinger recently became a single lady again after her high profile split with Lewis Hamilton. A close friend of Nicole's has said that after the breakup, Scherzinger found comfort through listening to Sheeran's songs as "she was heartbroken but ended up playing Ed’s songs on a loop". They added "They're extremely close. Nicole says he is the male version of her." 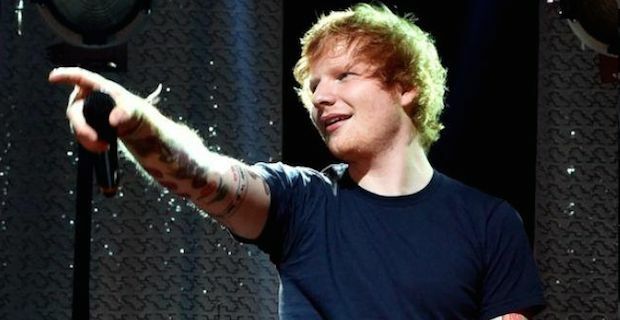 A friend of Sheeran's also all but confirmed the reports saying "As far as he's concerned they were in the early stages of dating and he's been open about it with close friends and colleagues. It may not develop beyond those dates but they're definitely tight." One of the most striking things about this relationship is the age difference with Sheeran being 24 and Scherzinger aged 37. However, despite the gap in years, the pair were recently spotted on a date at Sheeran's local pub in Suffolk which apparently went quite well. Sheeran has also recently emerged from a serious relationship himself after breaking up with Athina Andrelos back in March of this year. Plenty of rumoured flings have been reported since despite Ed pleading that his love life is "non-existent" but now it seems that he has finally found love with Nicole.